Our mission: To make the world a better place where all dogs and cats have access to the premium nutrition they need to thrive. 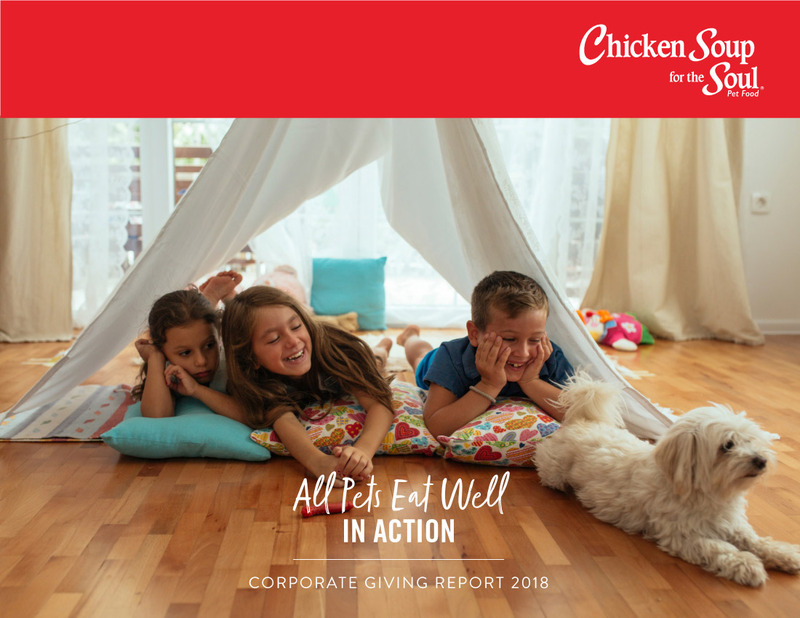 Click here to review our 2018 Corporate Giving Report. We believe dogs and cats deserve healthy, premium nutrition no matter what their circumstances. That’s why, through our Fill a Bowl… Feed a Soul™ program, we provide over one million meals to shelter pets every year! We do this with your help. Every purchase you make counts! 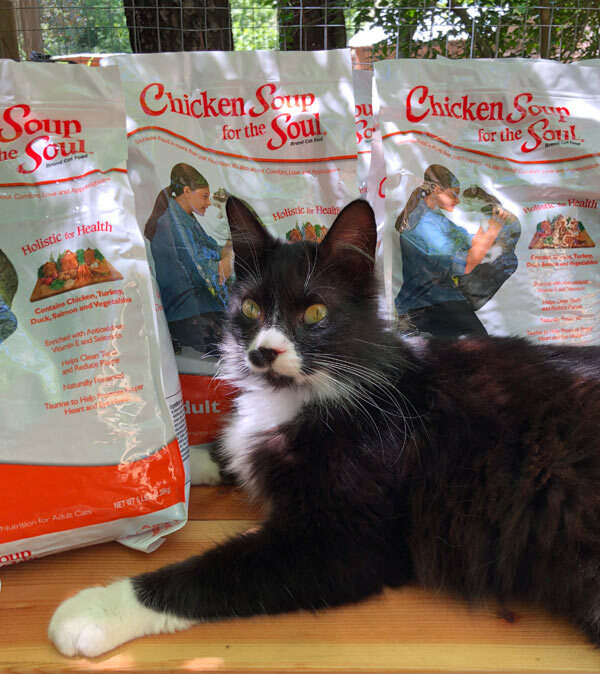 When you fill your pet’s bowl with nutritious Chicken Soul for the Soul Pet Food, you help us feed those that need it most. 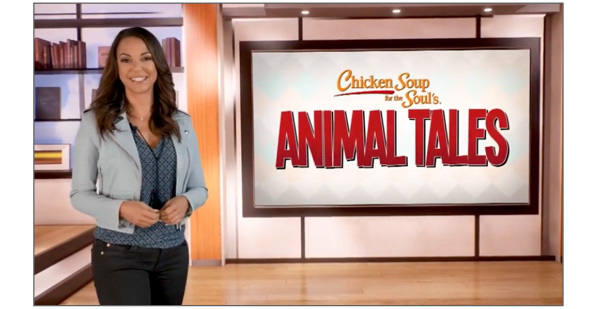 Chicken Soup for the Soul donates 4 meals for every Chicken Soup for the Soul Pet Food product that we sell. Helping to feed pets in your community. By partnering with our customers, our retail partners and shelters in communities across the United States and Canada, we can make a positive difference in the lives of pets waiting for their forever homes. 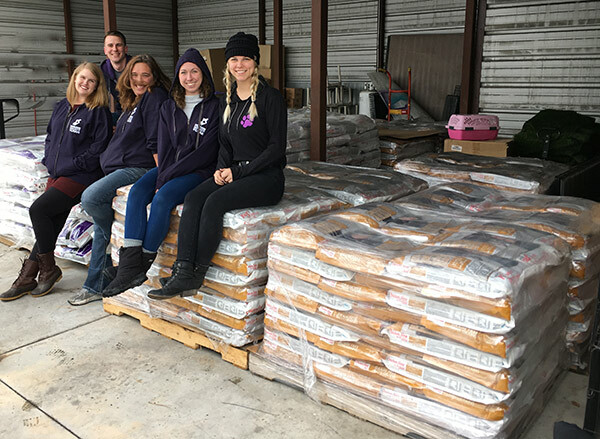 We have been providing over 1 million meals annually to animal rescue organizations and foodbanks since 2016 and, with your help, we look to feed even more in 2019! 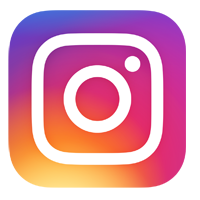 Be sure to follow us on social media to see how your purchase is helping animals across the U.S. and Canada. For every CSS Pet Food item we sell, 4 meals will be donated to pets in need. Kibble bags and wet food cases. Individual cans purchased will be combined to make a case. So… every CSS Pet Food purchase helps to generate donations. We consider it a community effort! What is the average weight of a meal? We use an average of 4 oz per meal. We calculated it using an average dog at 40 pounds eating approximately 5oz a meal and a 10-pound cat eating approximately 1.5 oz a meal. How many meals have you donated? Since we began our FABFAS program in the fall of 2016, we have donated over 2 million meals. Where have you donated to date? We have donated to rescues in UT, OK, CA, FL, AR, WI, MI, IN, CO, MN, TX, LA, IA, WA, KY.
Do you support rescue organizations in Canada? We have donated in the past through our distributors and hope to expand the program there in the near future. 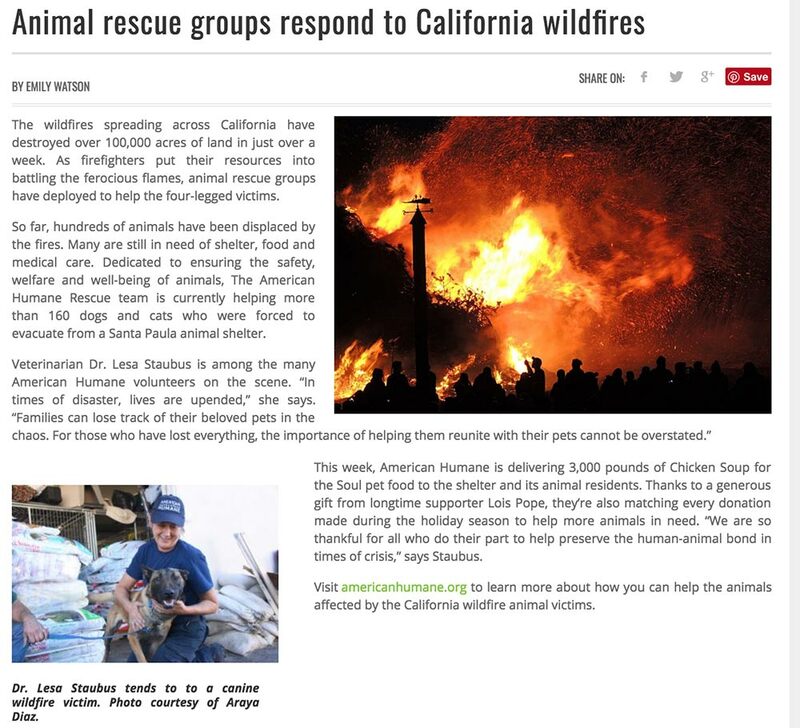 How are the rescue organizations chosen? We focus on supporting disaster relief efforts and providing food to shelters in communities across the country. 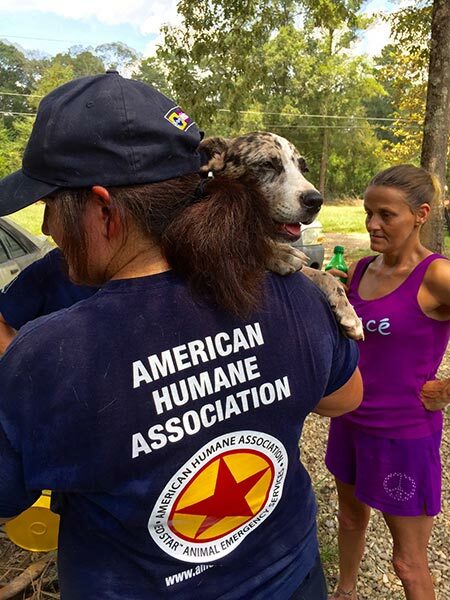 We work with American Humane when a disaster happens to get food to those who need it most as quickly as possible. 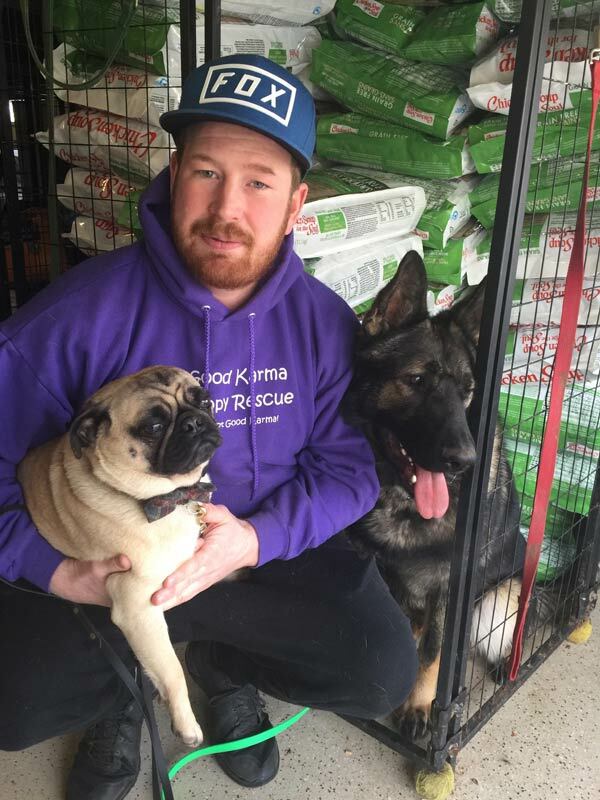 We also work with our independent retailers to identify local shelters in their area that are more likely to be less noticed by larger pet food brands looking to donate. How can a rescue organization apply? 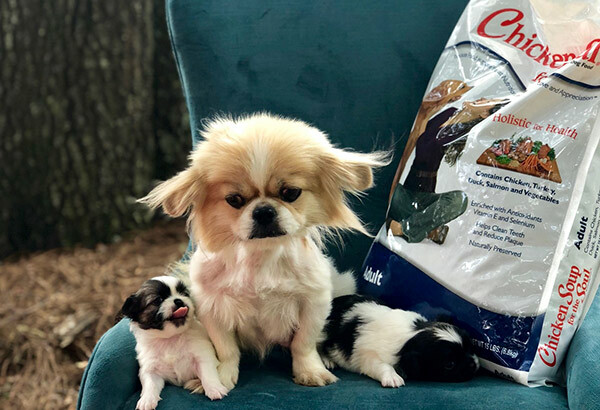 When additional food is available, we will consider 501 (3) rescue organizations that share our mission to make the world a better place where all dogs and cats have access to the premium nutrition they need to thrive. We look for those organizations that believe in providing pets with good nutrition, a safe environment and educating their communities on the importance of spay and neuter and microchipping. Do you donate pet food to food banks for people in need of assistance with their pets? Yes. 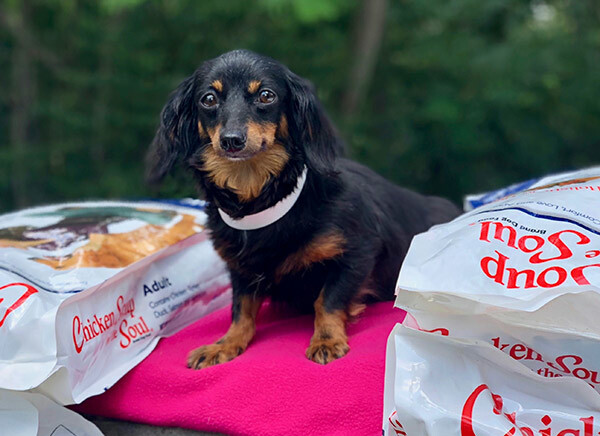 We do work with some retailers who are able to help distribute Chicken Soup for the Soul pet food to members of their community in need of a hand. Fox Valley Humane Association, WI “Without the support of companies like Chicken Soup for the Soul Pet Food, we would not be able to save the lives of nearly as many animals in need. This year we have saved over 6500 pets, and their extremely generous donation of pet food will allow us to help even more in 2018! Words simply cannot express our gratitude for what Chicken Soup for the Soul has done for the Fox Valley Humane Association and the animals in our care,” said Jamie Thiel volunteer coordinator for FVHA. Whatcom Humane Society, WA “We are very grateful to Chicken Soup for the Soul Pet Food for their generous donation. Our food bank program provides temporary assistance to families and their pets during difficult times. Donations like this are what keep the shelves full. 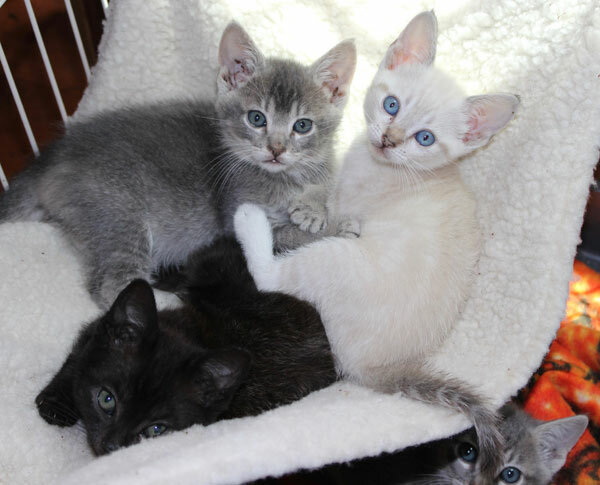 We couldn’t do it without the help of our amazing supporters!” said Carly Brewer, Whatcom Humane Society Volunteer & Outreach Services Manager. 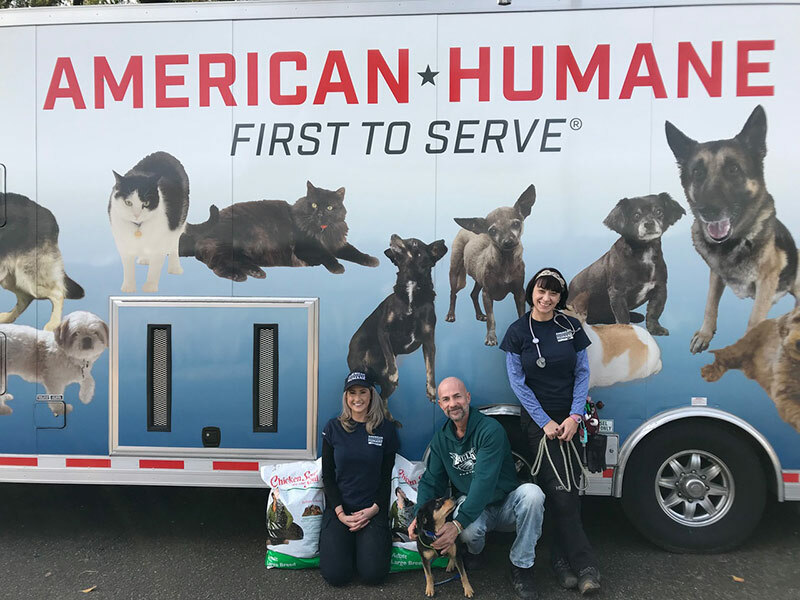 Chicken Soup for the Soul Pet Food has partnered with American Humane since 2016 to provide food as a first response for pets in need during and after natural disasters. 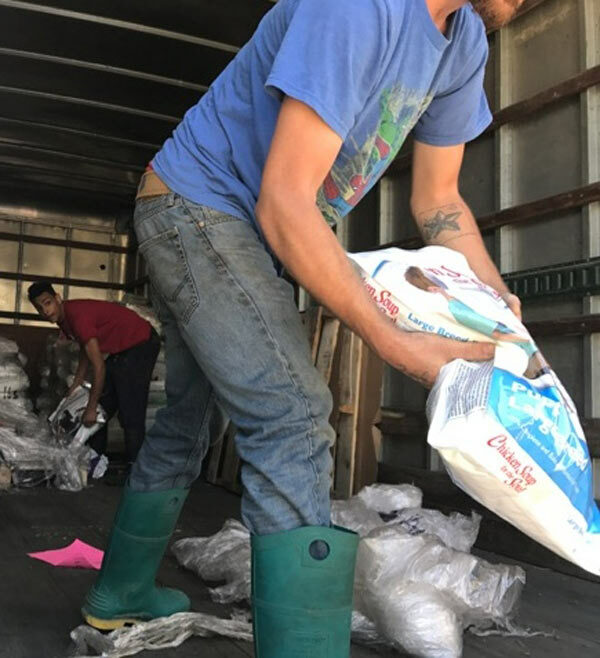 Our pet food has been distributed to those affected by Hurricanes Michael and Florence, the wildfires in California, and the floods in Louisiana. Through this partnership we have also donated pet food to shelters, sanctuaries and food banks nationwide. We love pet rescue organizations and other groups that nurture and support the human/pet bond. 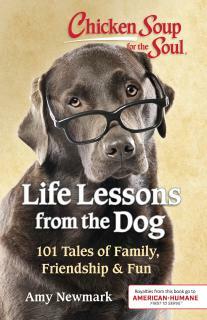 Many of these inspirational stories are highlighted on our series Chicken Soup for the Soul’s Animal Tales currently airing on The CW on Saturday mornings. 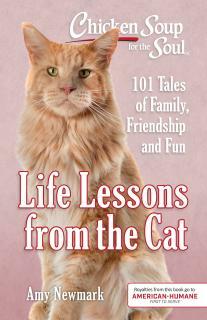 Royalties from our 8 most recent Chicken Soup for the Soul pet-focused books go to American Humane to help support their efforts nationwide.